Recently, I came across milanote.com which seemed to be a good tool for creating a mood board or style guide. When planning a website, or other creative project, it can be really helpful to build a mood board so that you can visualise how certain colours, fonts, images etc might work together. A style guide can act as a useful reference to ensure that you, and others involved in the project, are consistent in your use of various design elements. 2. Choose a plain looking, but flexible, theme as a starting point and customise it to look just as you want it to. I favour the 2nd approach, but that doesn’t mean it’s right for everyone. 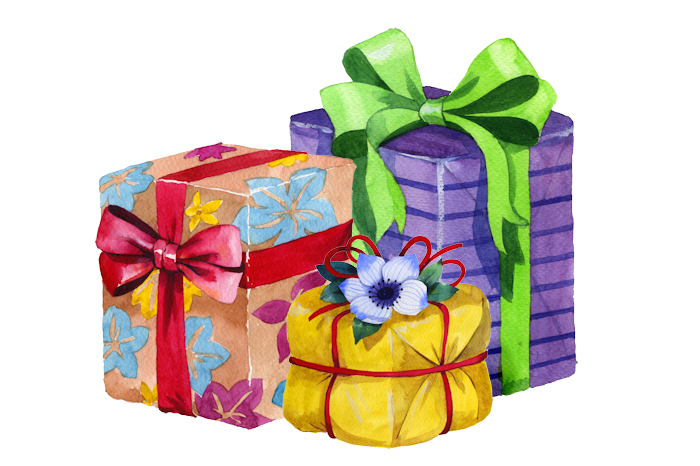 My previous post, Where to Find Free Website Graphics, listed some of my favourite websites for downloading free images, backgrounds and other graphical resources. 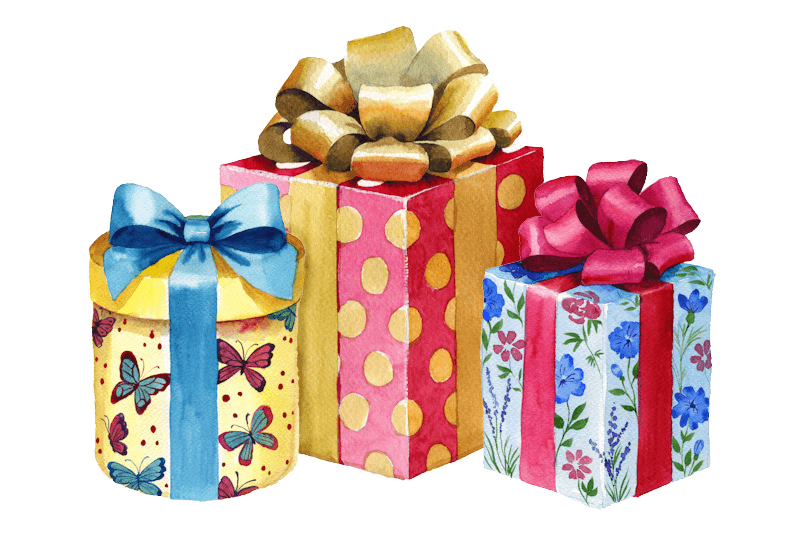 This follow up post contains a few more suggested sources of freebies. These ones are perhaps a little less well known and may not have such a great selection – but they are worth a look. 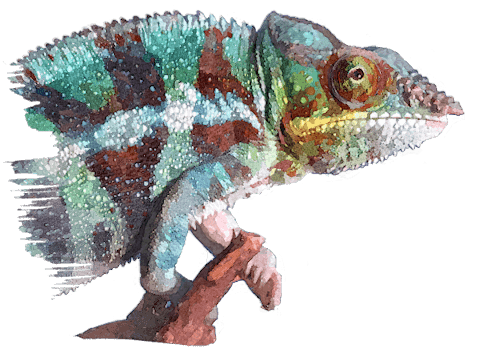 When you are building a website, you are likely to want to add some illustrations to make it look appealing to your visitors. It’s reasonable to expect to have to pay for website graphics as these have been created through the hard work of artists and designers. Having said that, costs can easily mount up and, like most people, I love a freebie or a bargain! Here are some of my favourite sources of free graphics that can be used on websites. Design Cuts have provided me with a copy of their latest bundle in exchange for this review. The Comprehensive Texture and Patterns Collection is available for $29 (or around £27 including VAT) until 3pm UK time on Tuesday 6th June 2017. Once the bundle has expired, some of the items may become available in the Design Cuts Marketplace. 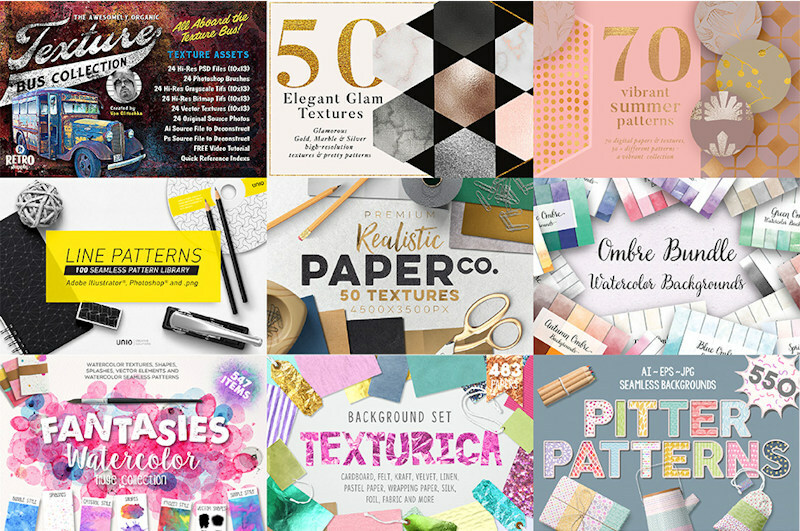 Design Cuts say: “This is our most varied and comprehensive textures and patterns bundle ever. Inside you can discover: rough vector textures, gold/glam textures, seamless paper textures, ombre paint, clean line patterns, watercolour textures, cardboard, felt, kraft, fabrics, colourful patterns, crayon patterns, subtle grungy textures, painted papers, vintage papers, natural backgrounds, modern clean backgrounds, space textures, geometric patterns, hand-drawn patterns, marble surfaces, ink textures and even 3D patterns.” Note that the preview graphics have been provided by the designers for presentational use only. This really does seem to be a massive collection of all kinds of patterns. The majority include either jpg or png files, which can be processed by most photo editing software, but if there is a pattern you particularly like then you should check that it doesn’t require special software, such as Illustrator or Photoshop. Design Cuts specify software compatibility in the product descriptions. 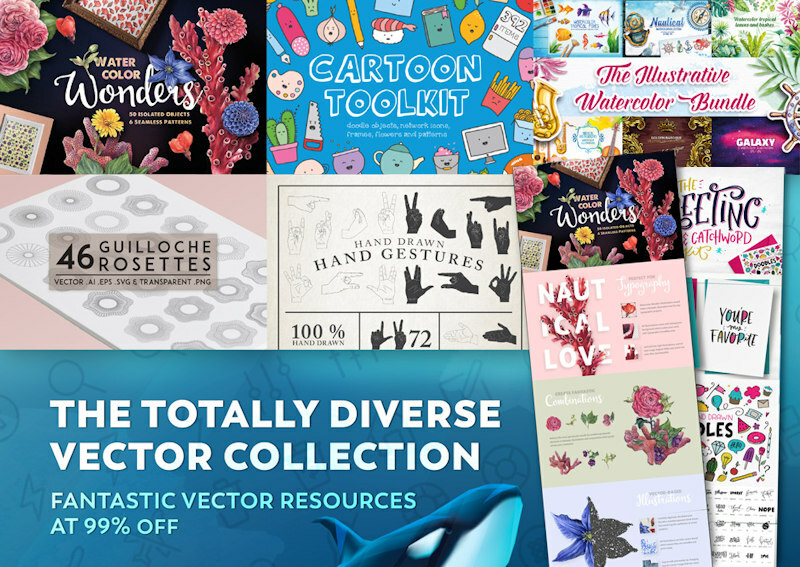 Design Cuts have provided me with a free copy of their current deal, The Totally Diverse Vectors Collection, in exchange for a review of this bundle. The collection costs $29 (or around £28 including VAT) and it will be available until 10th April 2017. 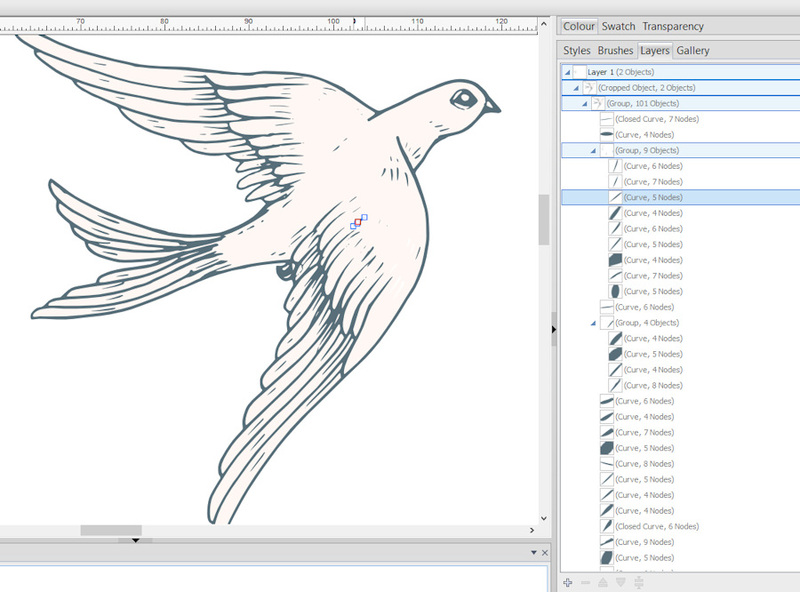 Vector graphics are made up of paths (lines, curves, angles and shapes) rather than pixels. This means that, unlike a jpg or png image, a vector graphic can be reduced or increased in size without becoming jagged and pixelated. Vector files have a number of different file extensions including ai and eps. Here’s one of the birds from the Pretty Peonies Botanical Collection by Feanne, which is included in the Design Cuts deal. As you can see, the image is made up of numerous nodes which are joined up to form curves. This means that, not only will the graphic remain smooth when it’s enlarged, but also the individual parts of the picture can be manipulated. 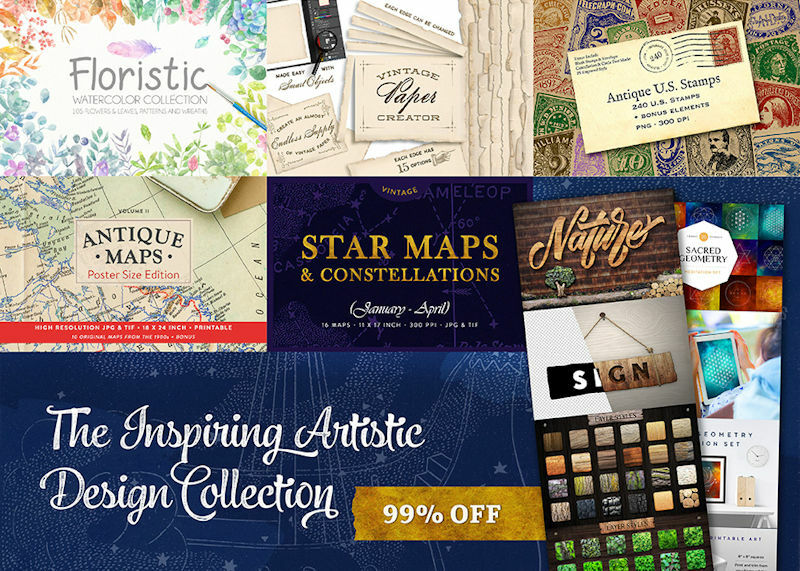 The collection costs $29 (or around £28 including VAT) which Design Cuts say is 99% off the full price of thousands of best selling design assets. Of course, a typical small business owner or blogger will have a particular style for their brand, so you may wonder whether the bundle is still good value for money even if you would only use a fraction of the resources. I decided to see how someone might use assets from the collection if they had one of a couple of styles for their website. If your brand does not fall into one of these categories, then you’d need to look at the other items to see whether you feel that this bundle could be useful for you. I love colour and can spend ages playing with different colour combinations, but I find that it can be very difficult to narrow down all the different options and come up with a colour scheme that is more than just a unco-ordinated mix of beautiful colours. 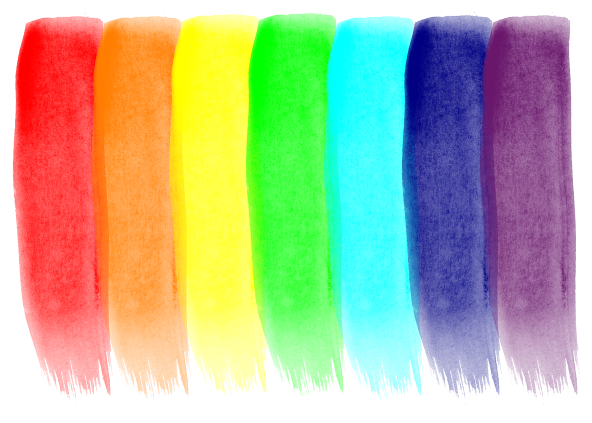 Part 1: The Meaning of Color covers the moods, emotions and symbolism of certain colours e.g. yellow giving a sense of cheerfulness and blue representing calmness. Part 2: Understanding Concepts and Terminology defines terms such as “hue” and “tone”. Part 3: Creating Your Own Color Palettes introduces some traditional colour schemes based on the colour wheel and links to some online resources for creating a colour scheme. WordPress isn’t difficult to use but it can be a bit overwhelming when you aren’t used to it. 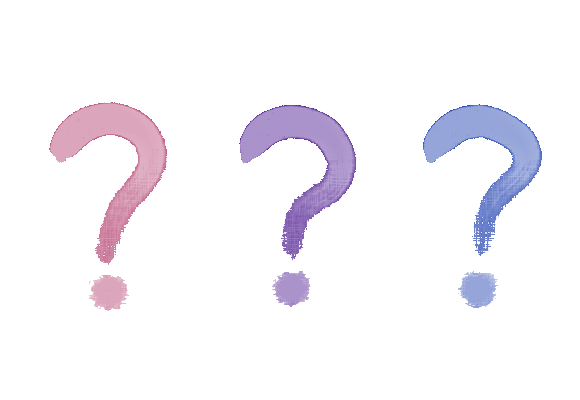 It doesn’t take long to become familiar with the basics, but to start with you may find yourself wondering what the difference is between a post and a page, and what on earth a widget is for. There are plenty of online resources to help you learn about WordPress, including the WordPress Codex. Here are a few more suggestions of websites with a structured approach to teaching the essential things that a newcomer needs to know to enable them to update their WordPress website. Just click on the links below to access the tutorials. Please note that if you purchase from these sites then I may receive commission, at no extra cost to you.